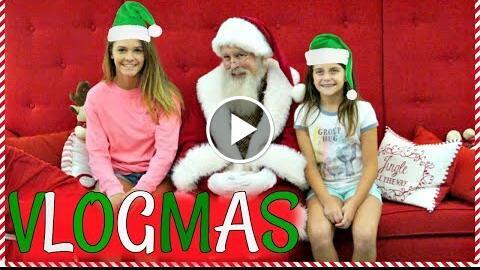 Vlogmas 2017 Today we have a long awaited visit with Santa! Emma felt a little to old to tell Santa what she wanted but when you have a younger sister sometimes you just have to go for it! You never want to be the one that ruins Santa! Also we said yesterday was day 5 and it was day 4 of our family vlogmas! So today is day 5! What do you want from Santa?